Beautiful and unusual mod, which will raise your self-esteem. This modification does not have any useful or necessary features for a successful fight. None features to damage the enemy. 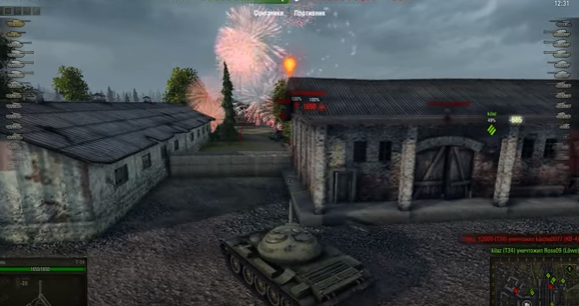 This mod will simply produce a beautiful, festive fireworks when you destroy the enemy equipment. Thus, your self-esteem and mood will rise. – The standard for owners powerful computers. Folders maps and particles copy from the archive to: World_of_Tanks / res_mods / 0.9.21/.